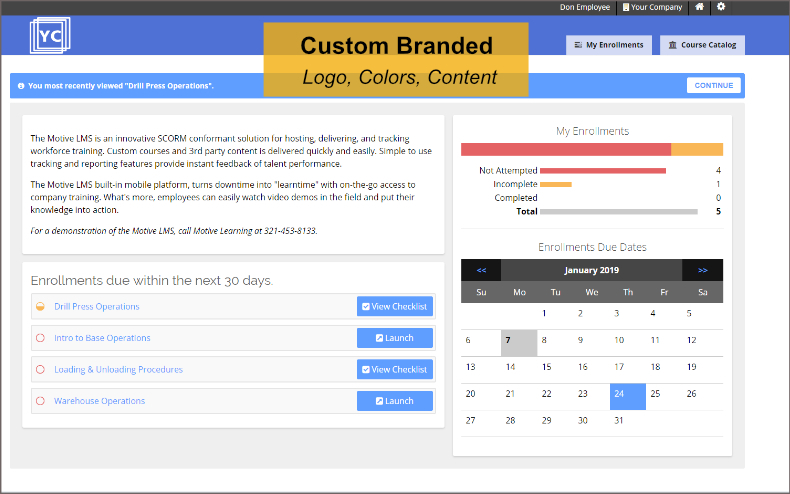 Train and track employee role-based training plans world-wide with ease, via one robust system. With large LMS companies you’re just a number, with Motive Learning you’re a partner. We customize features specifically to fit your needs, simplify integration, thoroughly train your team, and offer attentive support. Our friendly, personalized service within your budget, is the MotiveLMS value. Training doesn't just happen in a classroom. 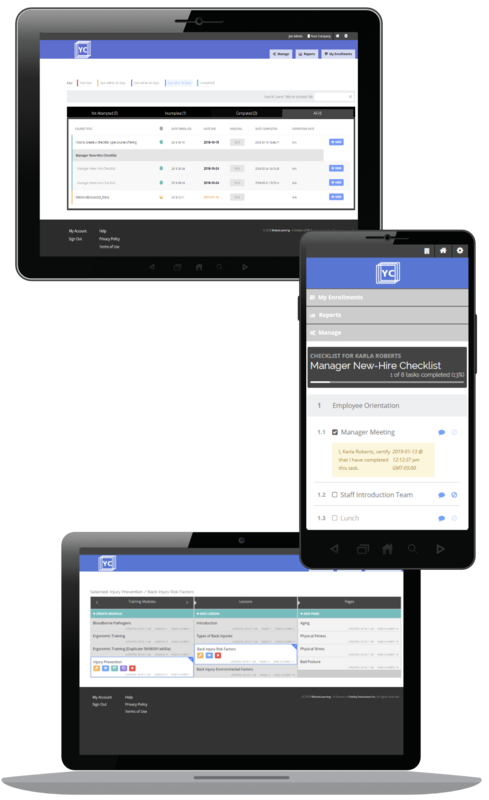 The MotiveLMS 5.0 manages every training activity you have - On-the-Job Training, Company Policies, Procedural Manuals, Videos, Certifications, Proficiency Checks, and Instructor-Led training. Sharing compliance data with your clients has never been easier. Simple-to-use tracking and reporting provides instant feedback of employee performance, saving you time, money, and headaches by maintaining the integrity of your company training records. Being able to report that your employees are qualified to operate or maintain equipment is imperative to successful operations. If you manage a highly skilled workforce then the MotiveLMS is the Learning Management System that you need. 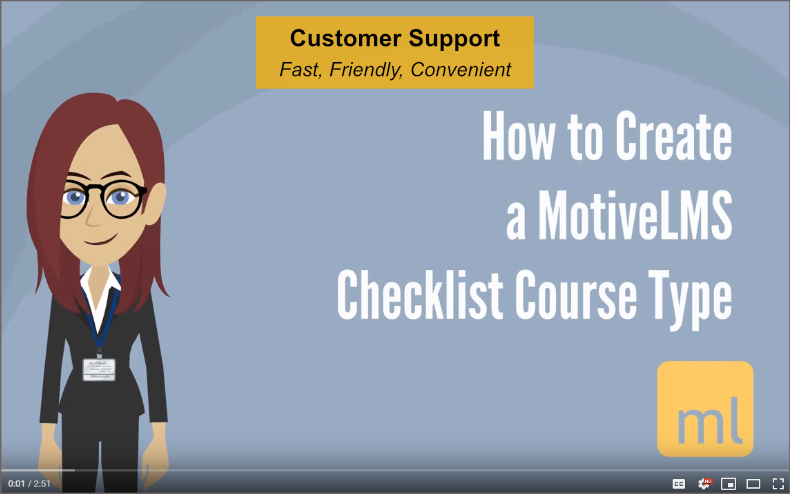 The MotiveLMS allows you to group training activities by job role and automatically tracks all of the training requirements deemed for an employee to be "Qualified". Administer all required steps of on-the job-training, proficiency evaluations, and safety observations, or any other set of tasks desired to assist with employee on-boarding, training and qualifications. Checklists can be created electronically in the MotiveLMS and delivered via mobile device. But don't worry, if paper-based checklists are still in your processes, you can upload a scanned completed checklist to the MotiveLMS for verification. Reduced training administration time and costs is our calling card. An intuitive content authoring tool means you quickly build and update media-rich mobile-responsive training modules, on-the-job training checklists, and knowledge assessments without writing a single line of code. You will fall in LOVE with it! The MotiveLMS is backed by over 30 years of experience in the training and development industry to provide companies with the solution they need to adhere to stringent regulations for performance and safety. We’ve built our company’s reputation on being flexible, responsive, and customer-service oriented. The MotiveLMS is more than just software and support, it’s a relationship with a team of learning technology experts dedicated to your training success. "Motive Learning has proven their ability to provide us with a customized system to meet our needs. 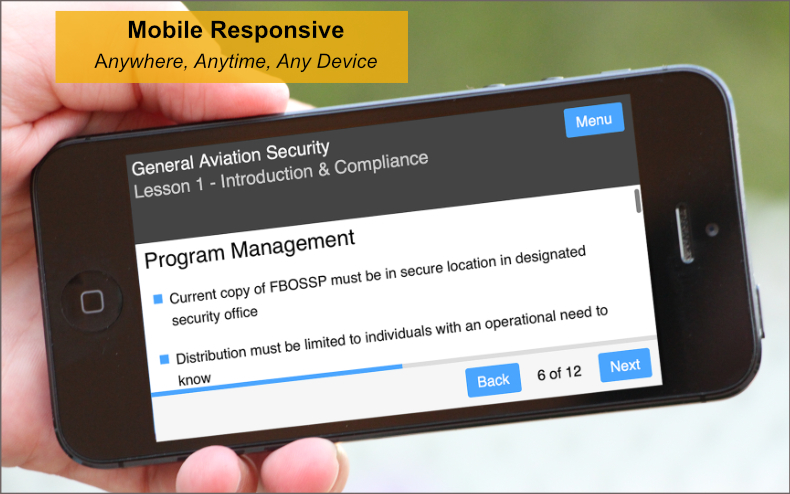 System customizations have been essential in our deployment of computer based training to the aviation industry in addition to keeping our training records accurate and secure." Once we understand your business and training requirements, we put together a pricing plan that works best for your needs and your budget. Qualified employees boost customer confidence and your bottom line.